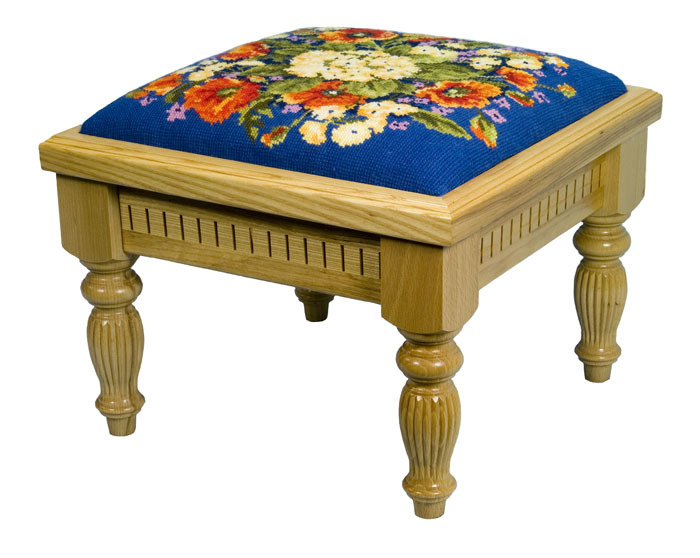 The Seaton is a traditionally-styled footstool featuring elegantly turned legs and dentil moulding detail. The Seaton is available in natural oak, medium brown oak and dark red mahogany finishes. The Seaton is shown below in natural oak finish (canvas not included).